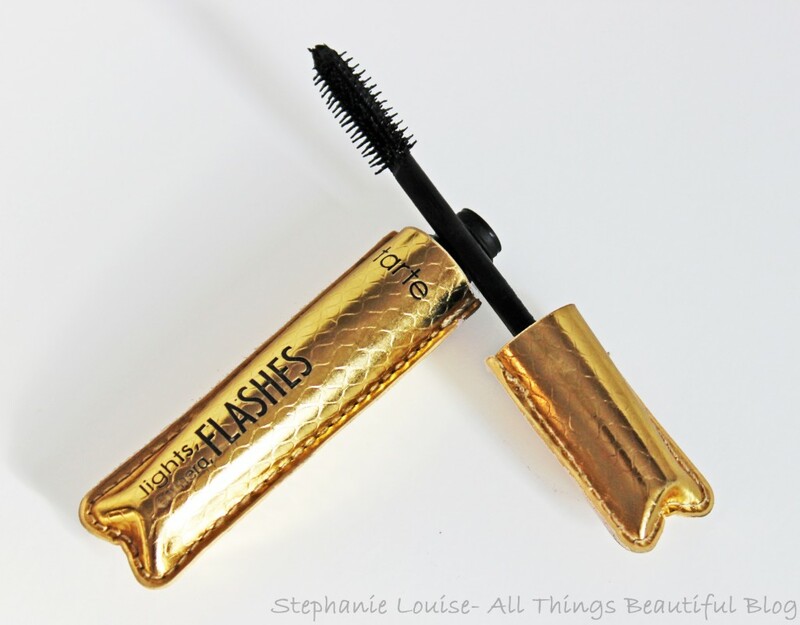 Tarte has made some of the best mascaras & a lot of people turn to them for favorites. For me personally, the tarte Lights, Camera, Flashes Mascara is my favorite from the brand to the point where I have backups! From the gold packaging to the non-flaking formula we have a winner here folks. Keep reading to check it out! So the wand here is pretty different! This is a dual-molded brush that really helps grab my lashes. One side is shorter & denser to help coat each lash. The other side is longer to lengthen & separate. Perfect combo! The formula isn’t too wet but it is super dense. The color is really awesome-ly black too! I have blonde lashes (to go with my natural hair…go figure!) 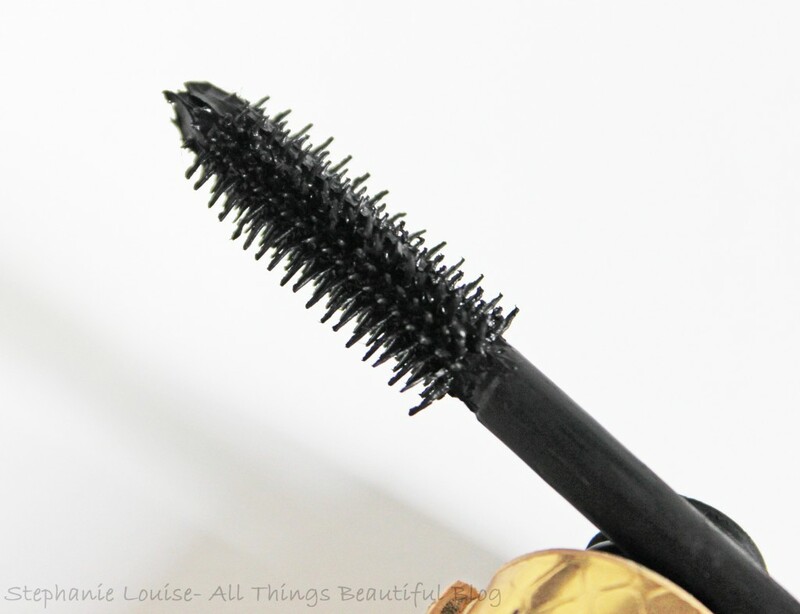 so I need a mascara that really grabs my lashes at the base & carries all the way to the tips! The way I like to apply my mascara is to curl my naked lashes first to really give me all the help I can get. 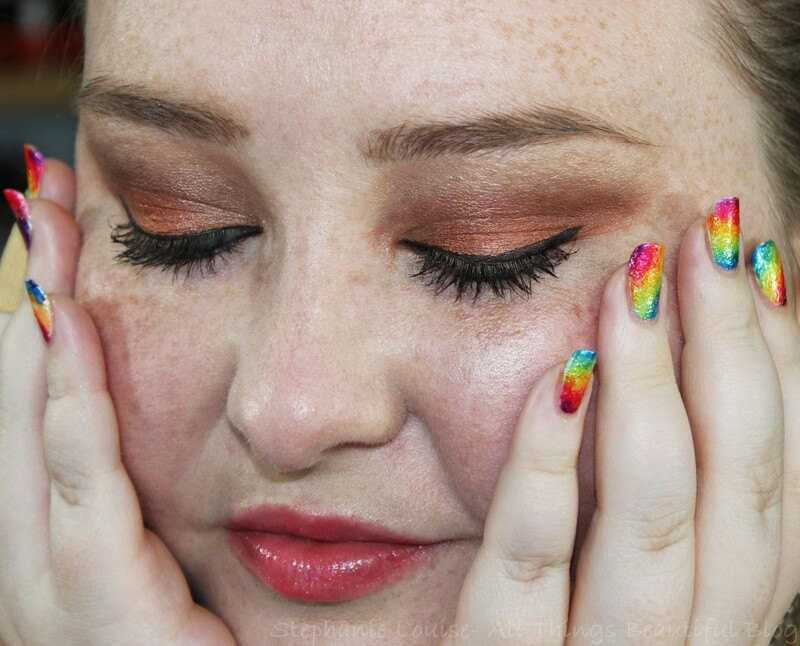 I use the shorter bristles at the base of my lashes then wiggle upwards lightly to get the base really well. I then use the longer side of the brush to make sure every lash is coated & volumized. I follow up with a metal lash comb in case I have clumps I don’t want! I also apply to my bottom lashline! With this mascara I don’t have issues with flaking, smudging, & this tube actually lasts me a really long time even with daily use. I should know…I think this is my third tube! Inside the formula is also mineral pigments, Vitamin B to help treat lashes, & beeswax to create a barrier. It is also formulated without parabens, mineral oil, phthalates, sodium lauryl sulfate, triclosan, synthetic fragrances and gluten. I use coconut oil to remove my mascara & this doesn’t make them too brittle or dry which is a big deal for me! For those who don’t know I take a medication that really injures my lashes- so I try to use the best products I can find that still make my lashes look fabulous! What is your favorite tarte product? How about mascaras? Which one are you digging right now?